Whether you’re going pro or going for coffee, make every moment sound incredible. Push your limits with headphones that have none. Sweatproof and waterproof sport headphones built to survive the elements and sound great doing it. Built for sport. Designed for style. Bold headphones that deliver big sound and keep up with your active lifestyle. 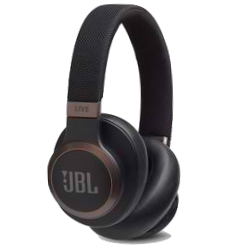 Developed and tested by athletes, Under Armour® and JBL® collaborate to create superior headphones, complete with big sound, durability and new technology.